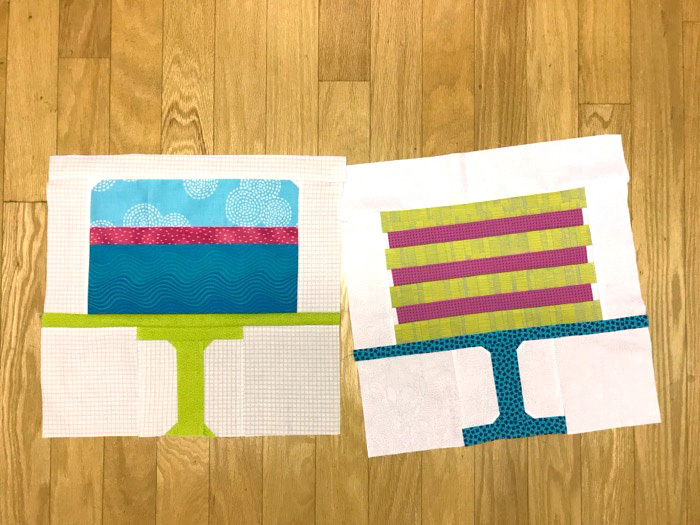 Bee Blocks for Gridsters • December 2017 | OccasionalPiece--Quilt! I didn’t realize you had a neighbor-quilter. I’m sorry for your loss now. I too have a neighbor-quilter, and it’s amazing how many times in just the past year we’ve managed to bail out each other when we needed something. I am sure you will miss your friend. 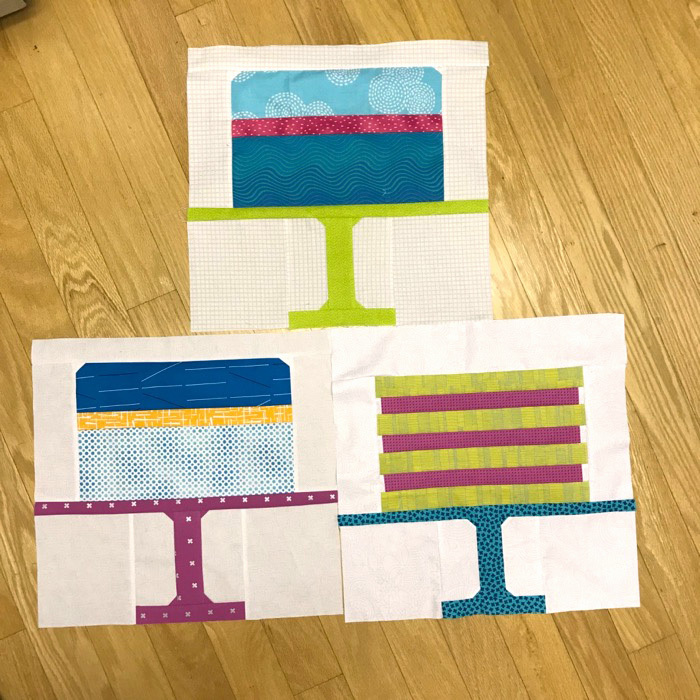 Though, how fun for all of you to have gathered to sew these cake stand blocks for a mutual friend. I do think it would be nice, occasionally, to meet in a quilter’s home, rather than always going to a rec center to sew together. So much more personal. Looks like you all had a really good time together. 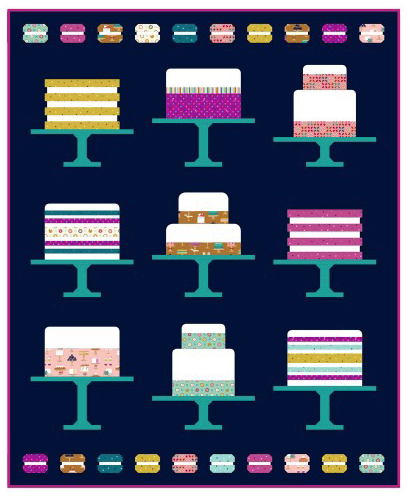 It sounds like a fun day of stitching together and those cakes look good enough to eat. This is going to be such a fun quilt. You are all going to miss having Lisa so close. I KNOW Lisa will find new quilters where she is going, but she will always cherish your friendship. Those look delicious! How lovely to have sewing friends to get together with in person, and I hope you have a wonderful 2018 ahead. Those blocks are cute. I bet you will really miss Lisa in your sewing group. Where can I get the pattern for your Home Sweet Home mini? It’s charming.